This captivating Yonahlossee Resort home is the pinnacle of luxury! Red Moose Inn, an incredible four bedroom home, is located in Yonahlossee Saddle Club, a private and gated community ideally located between the quaint mountain towns of Boone and Blowing Rock in western North Carolina. Nestled on a corner lot at 4000 elevation, this charming home provides guests with a 260-degree view of the spectacular Blue Ridge Mountains. The home was designed so that views of the surrounding mountains are visible from almost every room! Enjoy the ambiance of the spacious Great Room with massive leather sofas and recliners. The hardwood floors with Oriental area rugs, cedar paneling, custom book shelves with a collection of bestselling novels, large screen TV with Dolby digital surround sound, antique barley twist tables and appointments add to the warmth of this comforting area. The focal point of this extraordinary room is the colossal gas log fireplace with stacked stones reaching gracefully to the ceiling. Huge windows let in the breathtaking views. One is destined to become fascinated with the taxidermy and Fracé prints adorning the walls. The fully equipped gourmet kitchen boasts granite counter tops, stainless steel appliances, cherry cabinets, TV, pantry closet, and a built-in china cabinet. This area overlooks the dining room with a large eat-at bar. The capacious dining table with comfortable chairs and the picturesque bay window make for a perfect setting for family meals. From the dining room, one can access the large deck complete with stainless steel gas grill and outdoor dining furniture. The accompanying captain chairs will prove to be the perfect place for savoring mountain views and watching wildlife cross the beautifully landscaped yard. One of the Master suites is located on the main level. Unwind in the privacy of this roomy space with a queen bed, your own TV, deck access, skylight for star gazing, and ceiling fan suspended from a vaulted ceiling. The full bath and walk-in closet help make for a luxurious stay. Follow the wide stairs from the foyer to the loft overlooking the great room. A sleeper sofa, big chair with ottoman, and a game table make this the idyllic retreat for reading, playing cards or a board game, or just absorbing the mountain views. From the loft, one can enter the second master bedroom suite. Guests lucky enough to stay in this room are treated to a comfortable queen bed, tremendous views, a skylight, ceiling fan suspended from a beamed and vaulted ceiling, and a TV/DVD player. The decorative tiled bath features an over-sized circulating spa tub, a glass enclosed walk-in shower, double vanities, and an immense closet. Two guest bedrooms, located on the lower level, share a spacious full bath. Guest bedroom one offers a king sized bed, TV/DVD player, private vanity, ceiling fan, walk-in closet, and magnificent views of the mountains. The second guest bedroom also provides a showy view and is equipped with two twin beds, an antique dresser, and a large closet making this room perfect for family or friends. Imagine relaxing in the outside hot tub watching the sun set over the Blue Ridge Mountains. Adjoining the walkway to the hot tub is a 2 car garage that doubles as an entertainment center featuring a bar, refrigerator, and a ping pong table. Perfectly located between Boone and Blowing Rock, you will enjoy all the benefits of having your own beautiful, private mountain home with lots of room to get away from everything while remaining only a short drive to the finest in Blowing Rock shopping and dining and all High Country attractions including Tweetsie Railroad, Grandfather Mountain and the 4 major ski resorts. Red Moose Inn is the perfect getaway haven! *Please note that this home is equipped with many valuable and breakable items. The home is not child-proofed and does not lend itself to accommodate small or unsupervised children. North Carolina natives, we love calling North Carolina home. A retired OB/GYN MD and nurse, we are the proud parents of 3 daughters and a spoiled Boston Terrier. Red Moose Inn is the perfect getaway haven! Conveniently located between Boone and Blowing Rock this home is easy to access in a gated community. The elevation is approximately 4000 ft. and the views from the deck are breath taking and serene. The views of the mountains are breath taking from practically every room in the house. Each season offers its own unique splendor. Convenient location and still has a mountain feel. It is great to sit on the deck and watch the deer and turkeys meander through the backyard. 3.5 Bathrooms: 1/2 bath on main level; Master bath on main level with tub/shower unit, separate sink area, walk-in closet; Upstairs Master bath with walk-in shower , Jacuzzi, walk-in closet, double sinks ; Downstairs Full bath with tub/shower unit, 2 separate sink areas. Boone is located approximately 4.5 miles away. It is a quaint downtown area with shopping, Mast General Store, restaurants, and home to Appalachian State University. The West Glow Spa is located approximately 4 miles away on Hwy 221. Located approximately 4.5 miles from downtown Blowing Rock, a lovely village area with shopping and restaurants. Spectacular views from every bedroom, great room, kitchen/dining area, and loft. Located on exterior lower level of house with spectacular mountain views. 6 person capacity. Really enjoyed your home! Location was great and house inside and out was beautiful! Really loved the deck and upstairs tub!!!!! We are so glad you had a great weekend. The view from our deck is spectacular. The Jacuzzi tub is a favorite with many of our guests. Please visit with us again in the future. Great house, spacious, well equipped and decorated. This was our second stay and hopefully not the last one! We loved having you visit with us again. So glad you had a nice time in the NC mountains. Hope to see you again next year. The Red Moose perfectly fit our needs for a few days near the many ski slopes in the area. Hats off to the both the owners and especially the housekeepers! The owners obviously take great pride in their home and have gone to a great deal of effort and expense to provide a homey, comfortable rental. Yes, this feels like someone's home, but we were very "at home" while there. The details with the moose-themed decor are rather entertaining, and we made a game with our six teenagers of counting the moose, the candlesticks, the bear, the deer, etc. in the house. The kitchen is amply supplied with everything needed and more; this was important as we cooked nearly all of our meals while there. I took along crock pots and some supplies not needed because this kitchen is so well stocked. Also, the garage was perfect for returning from skiing; we just dropped everything wet out there and didn't track into the house. Secondly, the driveway is made of some type of slate or stone that is VERY slippery! The owners give ample warning about clearing the snow & a "snow policy" is required to sign before even pulling onto the property. Smart. However, our conditions were only a bit of rain (and one day even dry), and the the (new, good tread) tires of both our vehicles slipped and squeaked & made horrible noises on that surface! It is a weird feeling to have tires slipping like that, and combined with the awful noises, you wonder if you are doing damage to either vehicle or driveway or if you will actually be able to pull up those slight inclines onto the street. We thoroughly enjoyed our stay and certainly had all of our needs met (comfortable beds, plenty of bedding & towels, etc.). Views are spectacular. Much thought and detail has been put into this rental, and any guests would not be disappointed. Note: We did not use the hot tub nor the grill during our stay. Thanks for the lovely extensive review of our house. We do make an effort to have everything clean and comfortable for our guests. I have rented before when this was not the case and it dampens your vacation experience. The first driveway entrance does have a slope and with weather conditions that is why we encourage people to enter from the second entrance. We loved having you as guests and hope you visit again if you are in the area. We are so happy you enjoyed your holiday at our house. Please visit with us again in the future. Beautiful property that was decorated extremely well. Perfectly maintained and organized (kitchen). As mentioned the property was beautiful and the owners very helpful. My only comment for improvement was that the overall cost was quite a bit higher than I initially assumed when starting the rental process given the insurance fee, cleaning fee, and then the deposits required. Not a major issue, but something that could be improved in the overall VRBO process. Once again beautiful property that was immaculately maintained and organized. This house was spotless... meticulously clean! Double master bedrooms were perfect. Great views from the back deck and an easy drive to campus. We are so glad our home met the needs of your family. 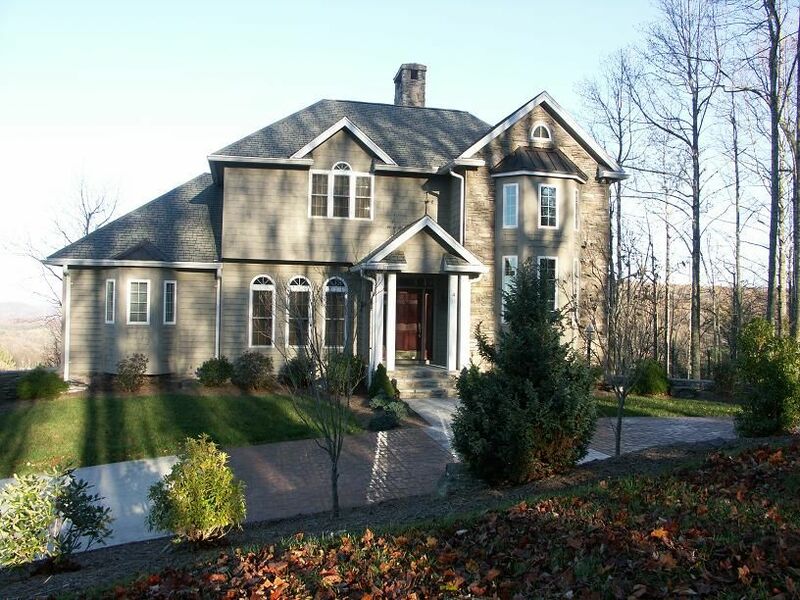 Our house is in a convenient location to many things in the Boone and Blowing Rock area. We strive to provide a clean and comfortable accommodation for all of our guests. Please visit with us again when you are in the area visiting your son at ASU. * Call Owner for Monthly Rental rate * *Under certain circumstances a pet may be allowed on a case by case basis. Please discuss with home owner for approval. If approved by the owner, a pet policy must be signed including a pet deposit of $250 and a $25 per day charge with a check remitted to the owner. * Leave a check for cleaning upon departure made out to Carrie Dillon for $175. * The Hot Tub is optional for a $75 fee. A hot tub policy must be signed along with a check to the owner for use so maintenance can be scheduled. * There is a $25 per night fee for each extra guest over 8 and not to exceed 10 people. Extra guests are only allowed after speaking with the owner for approval. Violation will be grounds for immediate eviction. * The owner will collect a refundable $300 damage deposit that covers any small accidental damage, any extra cleaning fee, or any missing items. It will be returned after departure house inspection. * Cancellation Policy: All reservation sales are final. If the Traveler cancels, there is a $50 cancellation fee and the Traveler forfeits 50% of the total rent due. If the property rebooks for the same dates at the same rate, then the Traveler will be refunded advance rents less the $50 cancellation fee. If the property fails to rebook, then the Traveler forfeits the entire advance payment which is equal to 50% of the total due. Any reservation made within 15 days of the arrival is a guaranteed reservation and if the Traveler fails to keep the reservation the total amount of rent will be payable to the Owner. Cancellation protection is available on the VRBO website for optional purchase. Due to winter weather conditions in the NC mountains from November to April there are periods of heavy snow and frozen precipitation which may call for cancellation.